Location: Hampstead Volunteer Fire Co. 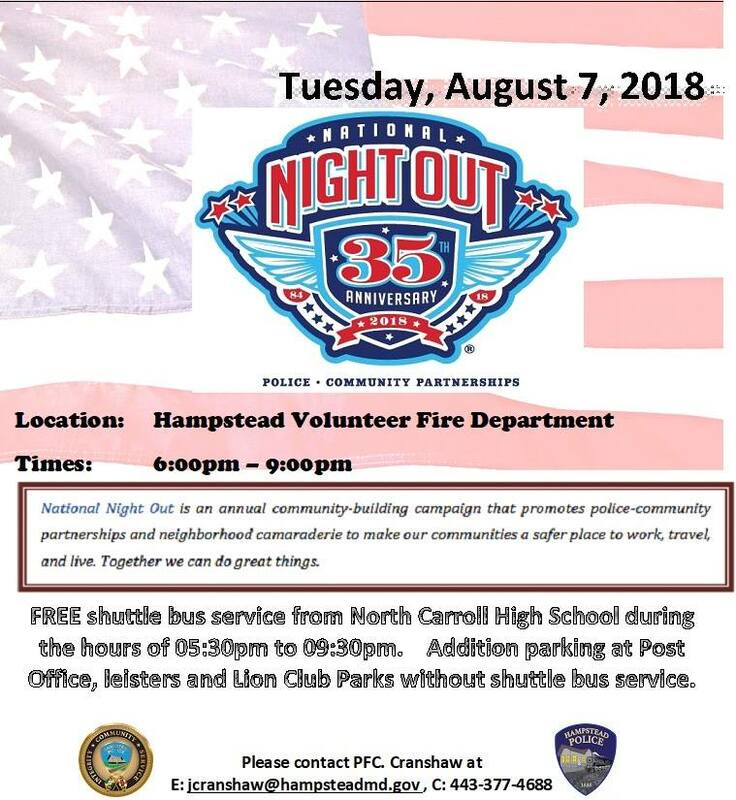 Hosted by the Hampstead Police Department. Held at the Hampstead Fire Department. 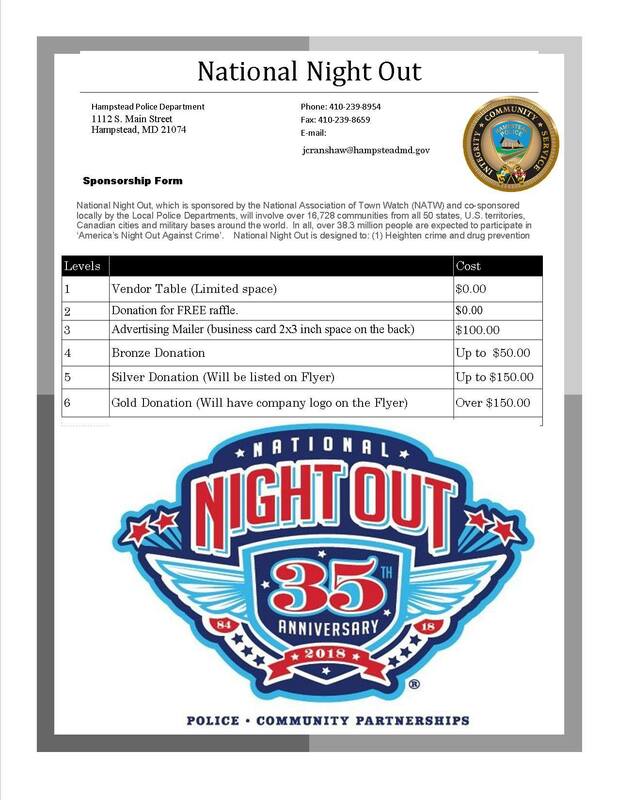 Anyone interested in volunteering at various tables/booths or if you have any questions, contact Officer John Cranshaw or Officer Clint Thorn.